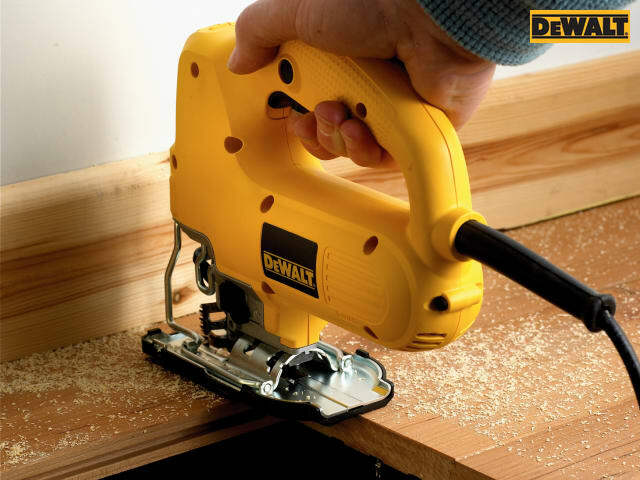 The DEWALT DW341K Jigsaw has a compact, ergonomic, design that gives user comfort and versatility in use. 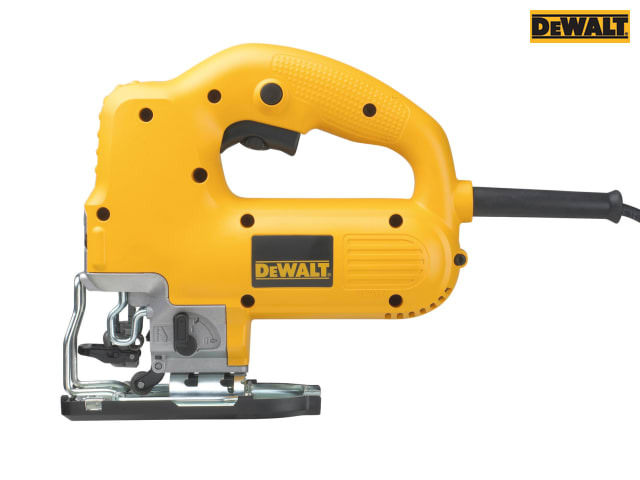 It has a powerful motor with large power reserves that provide outstanding performance and durability. 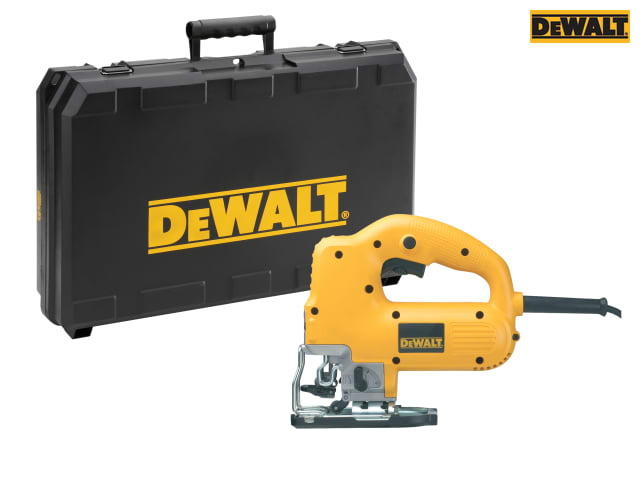 Adjustable pendulum action gives increased cutting performance and the variable speed dial/trigger allow for controlled cutting in all materials. Fitted with a heavy gauge steel shoe with anti-scratch coating and detachable anti-scratch shoe. 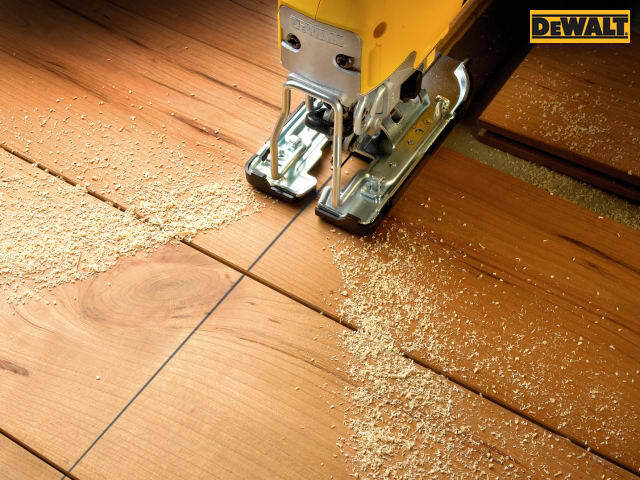 The shoe bevels at 45°, left and rightl with presets at 0° and 45° for precise bevelled cuts. 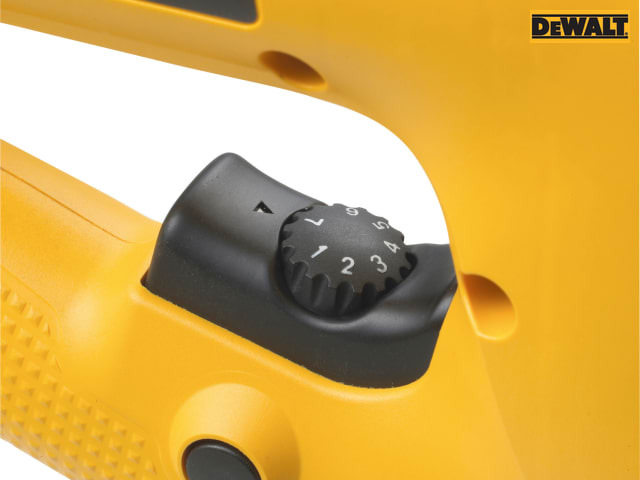 Keyless blade change with patented anti-deflection clamp design provides ease of use and accuracy. 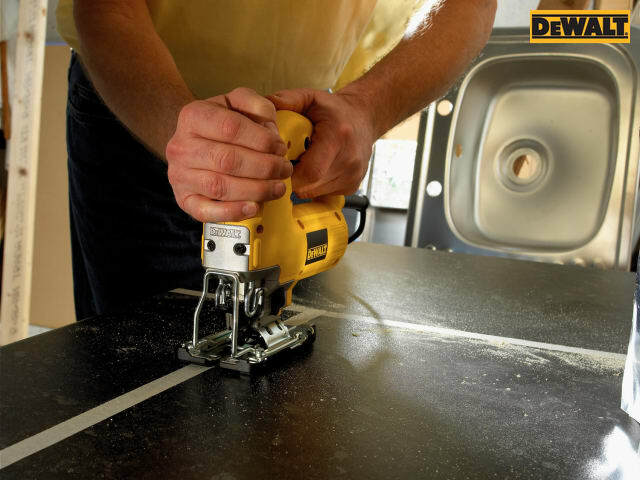 There is also an integrated sawdust blower and a low profile dust extraction shield with bi-directional vacuum spout for clean, efficient cutting performance. 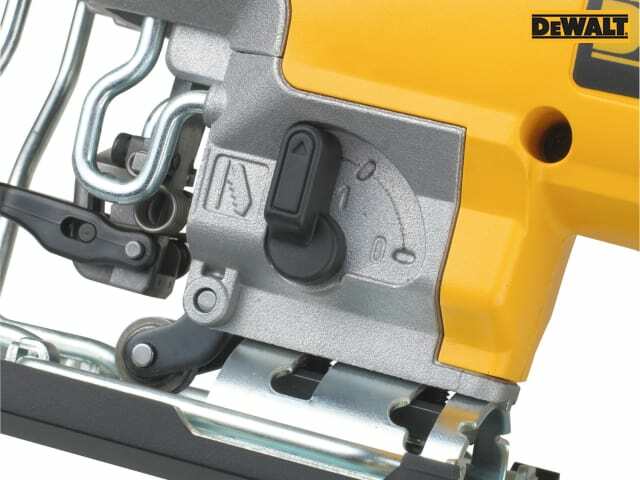 Can be used with a parallel guide (NOT SUPPLIED) or circular guide (NOT SUPPLIED) for accurate shape cutting. 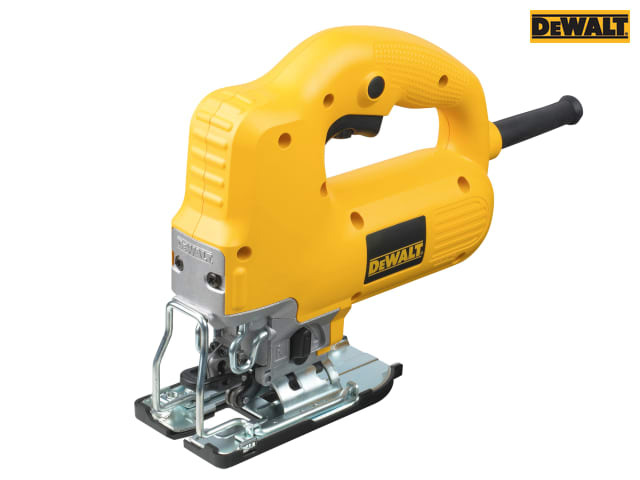 Compatible with DEWALT flush cutting blade, DT2074 for cutting flush to an edge. 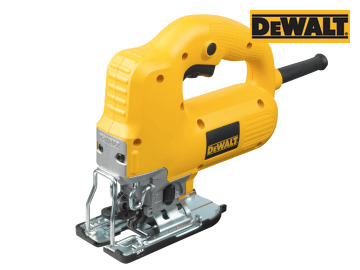 Capacity: Wood: 85mm, Non-ferrous Metals: 20mm, Steel: 10mm. Non-ferrous Metals: 20mm, Steel: 10mm.